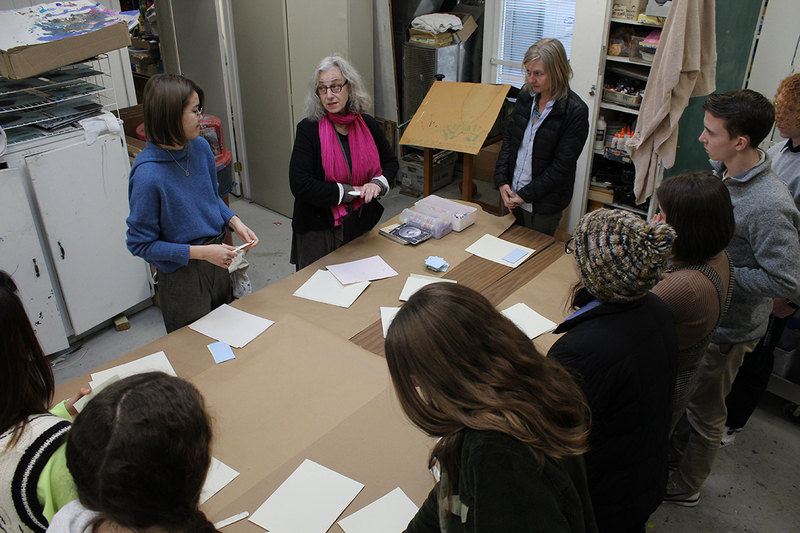 Wooster School welcomed independent artist and educator Miriam Schaer to campus. 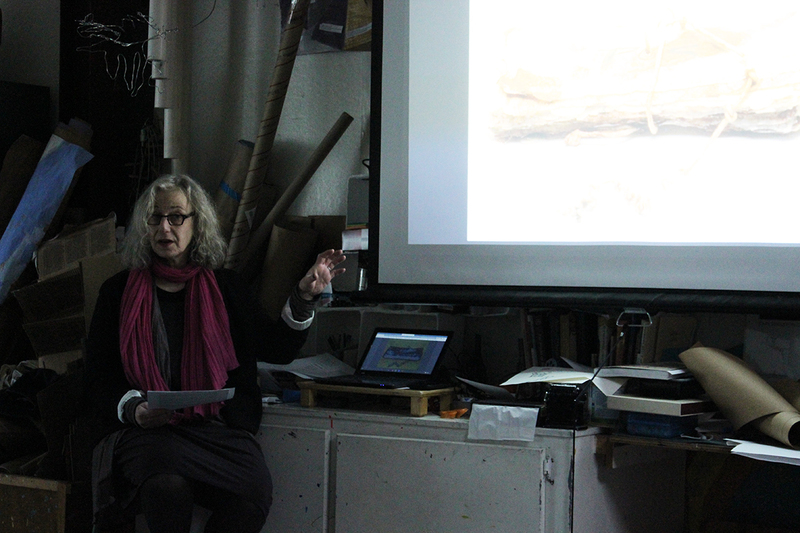 Miriam delivered a talk to students taking courses in Book Arts: The Intersection of Form and Content and Studio Arts. She then led the students in a workshop, so that they each created their own artist book. 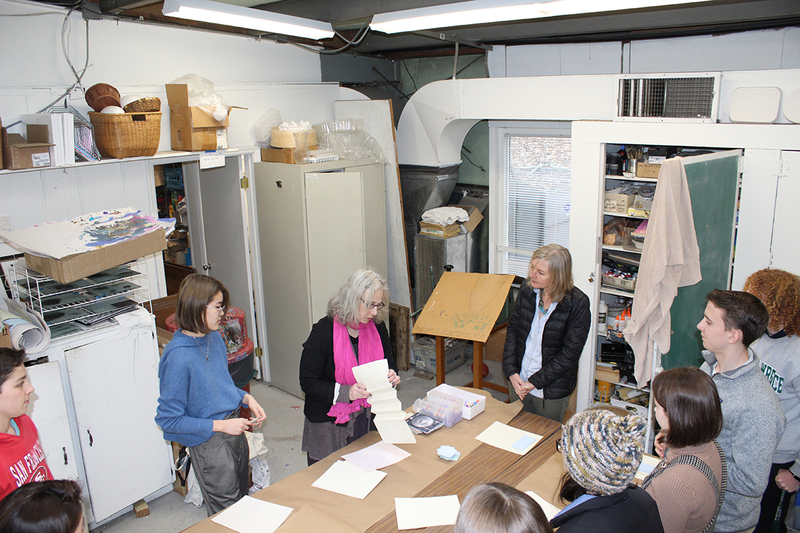 She also stayed for the Book Arts class and critiqued each student on their ongoing individual projects. Earlier in the day, she talked to the Fifth Grade about medieval treasure bindings and was instrumental in helping them decorate their medieval manuscript covers. 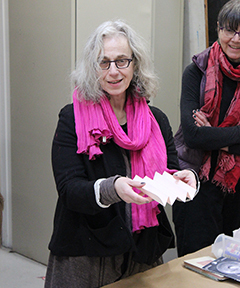 Miriam Schaer's work includes artist books, photography, and installation, as well as textiles, felt, and embroidery, in relationship to artist books. She is represented in numerous collections, including the Alan Chasanoff Book Arts Collection at the Yale Museum, the Arts of the Book Collection at Yale's Sterling Library, the Mata & Arthur Jaffe Collection: Book as Aesthetic Object at Florida Atlantic University, the Brooklyn Museum of Art, Harvard University, and the Sallie Bingham Center for Women's History & Culture at Duke University. Many thanks to Debbie Chodoff and the art department for bringing Miriam Schaer to the Wooster campus. Miriam Schaer is a Brooklyn-based interdisciplinary artist who uses books, garments, photography, installation and college to explore feminine, social and spiritual issues. She is an independent artist and educator. Formerly a Senior Lecturer in the Art+Art History Department at Columbia College Chicago, she also taught Art of the Book at the Pratt Institute, and served as a visiting artist at numerous institutions, including Sarah Lawrence College, Marshall University, and Colorado College. To learn more, visit http://www.miriamschaer.com/.